FURLA METROPOLIS BNF8 Maroon Crossbody Bag for Womens | Accessorising - Brand Name / Designer Handbags For Carry & Wear... Share If You Care! Hand crafted by expert artisans, this Furla crossbody bag is made from premium quality 100% genuine leather. It features ample interior space for your personal belonging and is sure to become your favorite. This bag will be a luxurious add on to your accessories wardrobe. 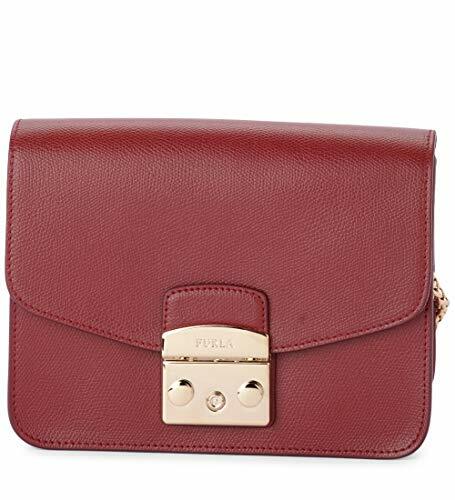 Featuring front flap opening with polished hardware, it comes with a unique side push button closure on the front along with the Furla logo engraved on the hardware.